Pre-approved move orders are created to source material from one location to another within the same inventory organization. 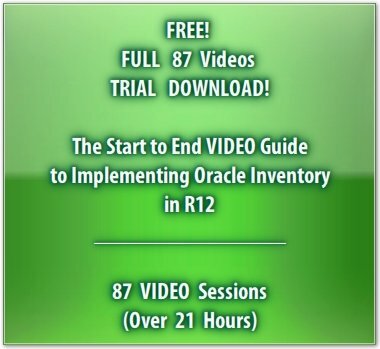 The Start to End Video Guide to Implementing Oracle Inventory in R12? Next in the series of demonstrations that Jennifer is conducting for the folks at Office Smart Solutions (OSS), she decides to use Kanban to trigger a move order for inventory replenishment. Jennifer has to start with defining the Pull Sequence shown below. 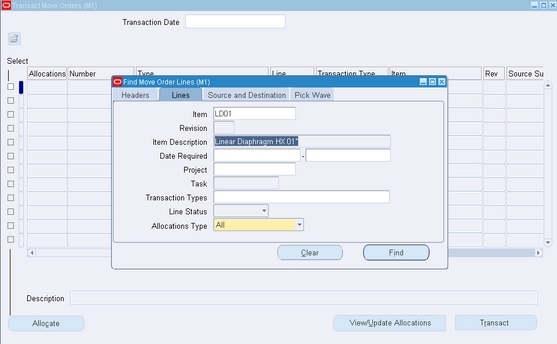 She selects the M1 inventory organization in the Vision database for her demo. She also selects an item that has abundant on hand balance in the Stores subinventory but zero stock in the Floorstock subinventory. So she selects Floorstock as the destination subinventory and Stores as the Source. She then proceeds to create 5 kanban cards of 100 quantity each. To bring these cards into existence she clicks on the Generate Cards button. 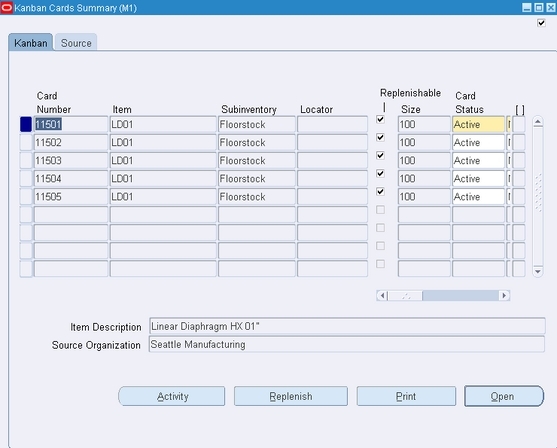 Oracle Inventory then generates the 5 cards as shown below. Jennifer pulls up the 5 cards that she created. She selects the first of them – Card Number 11501 and chooses to call for a restocking of 100 units of the Item LD01. She clicks on the Replenish button. This creates a pre-approved Move Order for 100 units of Item LD01 to be sourced from the Stores subinventory and to be moved into the Floorstock subinventory. She retrieves the Move Order. Move Order Number 2064428. This is her Replenishment Move Order. What remains now is to transact this Move Order. 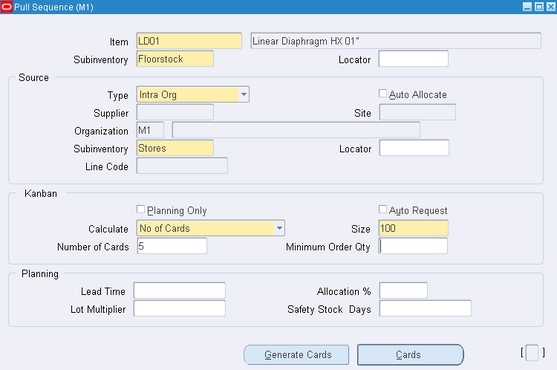 Jennifer performs the Move Order transaction and believes that this would result in 100 units of item LD01 being moved from the Stores subinventory to the Floorstock subinventiry. That is precisely what happens. Jennifer queries the Material Transactions form to find that the Move Order 2064428 had depleted the Stores subinventory and added to the stock in the Floorstock subinventory. Let us view an enhanced version of Jennifer's demo, below. 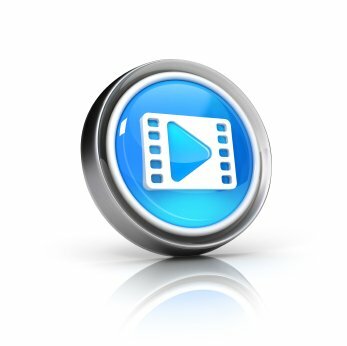 If you have any technical issues with downloading this demo, do email us atmywords@oracle-apps-training-online.com.